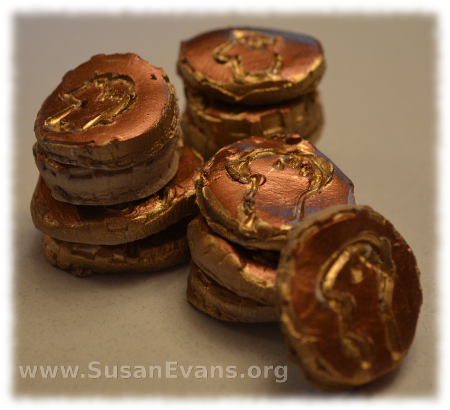 If you are studying Ancient Rome or the time when Christ walked the earth, you can make this Roman coins craft with your children. 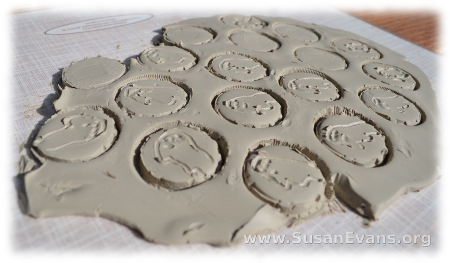 Start by rolling the white self-hardening clay out with a rolling pin. It helps if you have wax paper or a plastic placemat under it. 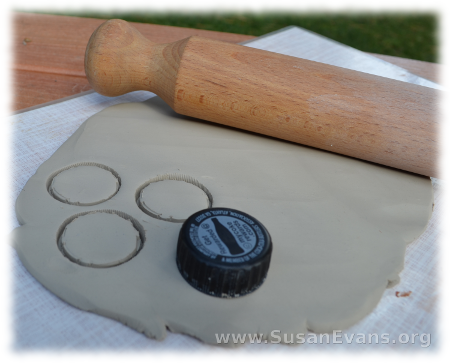 With a bottle cap, stamp out some coins. If you want larger coins and smaller coins, you could use 2 or 3 different sizes of lids. Just look in your refrigerator, and take a lid off something. 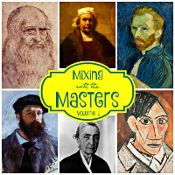 Grab a toothpick, a butter knife, or a sculpting tool and carve a picture of Caesar on your coins. 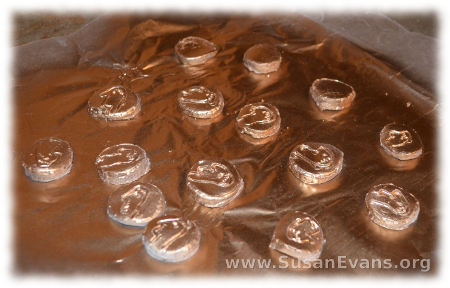 Using a metal spatula, remove each coin and place on wax paper to dry for 2 days. Spray paint the coins a gold color. Let dry for a day. With the copper leafing pen (which I bought at Fred Meyer for a couple of dollars), color the top of the coin, so that the grooves are lighter than the top of the coin. Let it dry. You are now finished with your coins, and you can play with them. The widow who put in 2 mites to the coin collection at the Temple, and Jesus said that she had given more than anyone else because she gave everything she had. 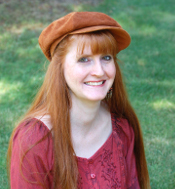 The woman who lost a coin and swept her entire house to find it, and was overjoyed when it was found. That’s how the angels rejoice when a person is saved. Any number of times that Jesus talked about money. The love of money is the root of all evil, and the rich young ruler couldn’t be saved because he loved money more than Jesus. 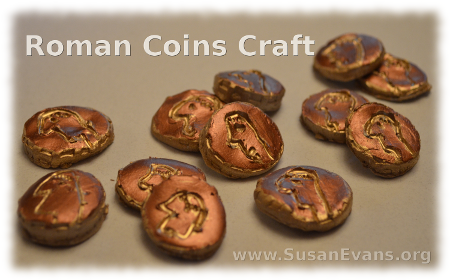 If you liked this Roman coins craft, you will love Using Simple Costumes and Props to Teach the Bible. You receive this 2-hour video for free when you sign up for the Unit Study Treasure Vault, which has an enormous Bible section that you will love! This entry was posted on Monday, October 21st, 2013 at 8:00 am	and is filed under Bible. You can follow any responses to this entry through the RSS 2.0 feed. You can skip to the end and leave a response. Pinging is currently not allowed. Thanks! Kids love to learn through hands-on projects. This seems like a fun, simple craft to do with kids. I love the way they turned out. It was definitely fun to make these. I had no idea how they would turn out. I liked using the 2 colors for contrast. I once found a real Roman coin while walking down a beach in Greece… It was very worn but still amazing! I’ve got some coins from Italy, but they’re modern ones. Wow, these are really impressive! I love this idea! I like the way they came out! I’m glad you liked this project! Very cool! I love hand’s on learning. This would be great for a Sunday School Lesson. What a fun activity, Susan! They turned out great, how did you use them after making them?